India has born a speaking likeness in its history and traditions with Central Asia all along. Trade and political conditions not only fostered the exchange of art but also of music and dance. Touring companies made up of artists and dancers from different countries were common at the courts of Central Asia, Persia and also India. Remember also, that the founder of the Mogul empire in North India, Babur (16th Century) originated from Central Asia, from Andijon (Ferghana) in Uzbekistan to be exact. His grandson Akbar was a patron of the arts and also sponsored dancing. 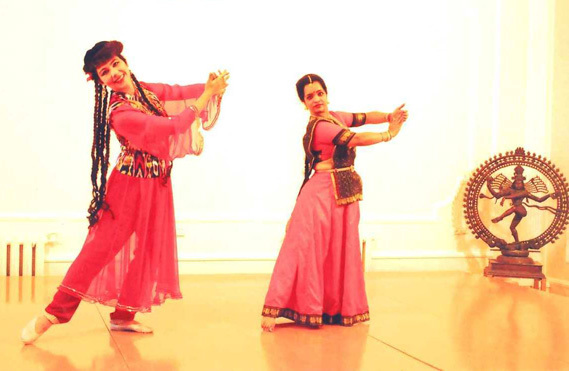 Katja Daniela and Manjiri Kamulkar have devoted themselves to these dances for quite a number of years. 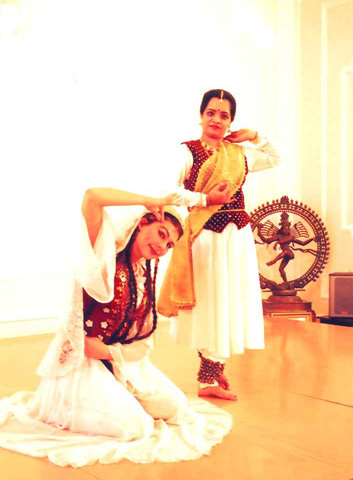 Manjiri has been dancing the Kathak and Indian folk dance since her childhood. She keeps a big dance school in Poona near Mumbai. 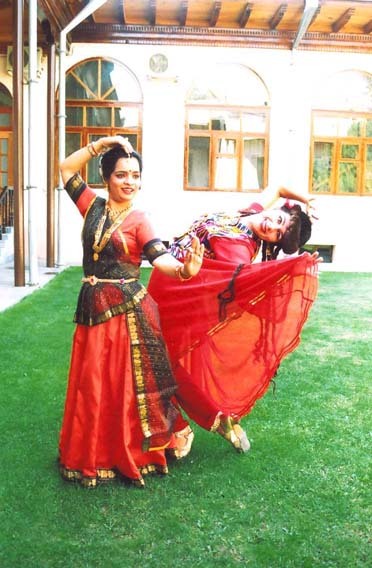 For the past three years she has lived in Tashkent, working at its Indian arts centre as Indian dancing master. 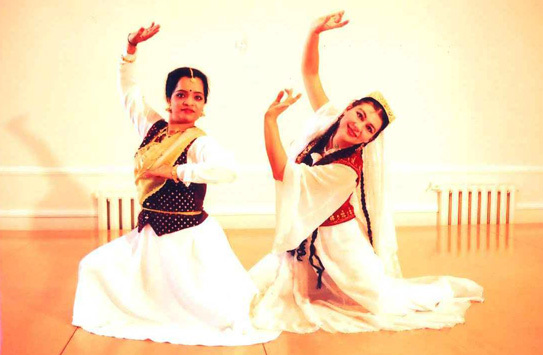 The colorful program of the "Nryta Rang" project, abundant in form, comprises Central Asian dances, northern Indian Kathak, Indian court dance and folklore.
. World premiere of the project was in July 2005. Local television and some newspapers commented on the event. To compare the two dancing styles was fascinating for both Uzbek and Indian audiences as well as for the dancers themselves. Performances and workshops are planned for March 2006 in Tashkent and Samarkand, in November 2006 in India and in February 2007 in Switzerland.